Beautiful Eyes for Fall with Clinique. If you've been flipping through any of the fall magazines you might have noticed something - eyes are taking center stage this season. With all the focus on beautiful skin, the eyes are bold. From lashes that are black and full of volume; liner that is thick, winged out, smoked out; and brows that are played up and fuller than ever, you bet eyes are something you really need to spend your time on when perfecting your look. You don't have to spend that much time if you have the right products though. 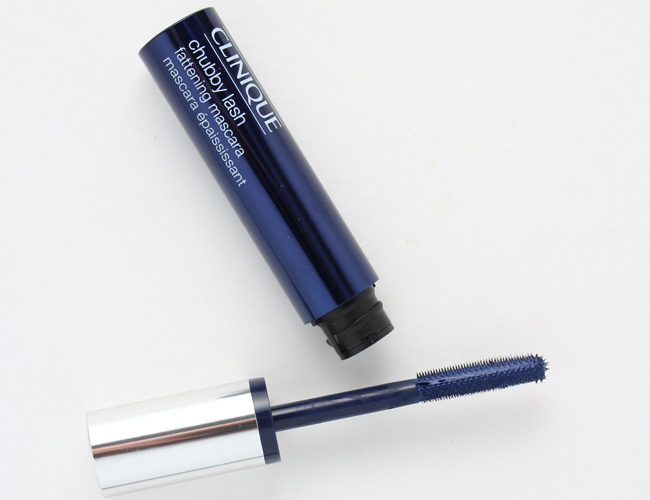 Clinique has recently launched some new eye products that is making it easier for all of us to to have our eyes on trend and looking beautiful this fall -- and beyond. Starting with the brows, there is Just Browsing Brush-On Styling Mousse. This innovative gel-mousse formula instantly tints and tames even the most unruly brows. It gives them the appearance of fuller, thicker brows with its long-wearing formula. The mini applicator brush is super easy to use and deposits the right amount of color into the brows as you brush it on. Just Browsing comes in four shades: Soft Blonde, Soft Brown, Deep Brown, and Brown/Black. Buy Just Browsing for $16 at clinique.com and counters in Macy's, Nordstrom and Sephora. For the eyes and the ultimate in defining them, there are the new Skinny Sticks. Skinny Sticks are an ultra-fine, eyeliner that deliver the perfect stroke of color easily and effortlessly.The fact that these liners are so skinny makes them perfect for getting up super close to the lash line which creates the appearance of thicker, fuller lashes. These liners glide on super smooth with super rich, pigmented color. There are nine colors in all: Slimming Black, Black Silver, Slim Sable, Olive-tini, Skinny Jeans, Demi-Grape, Angel Hair and limited edition shades in Thin Mint, and Lanky Lapis. Buy each Skinny Stick for $16.50 at clinique.com and counters in Macy's, Nordstrom and Sephora. Finally, there is a new mascara to finish off the eye look - Chubby Lash Fattening Mascara. With that name, you know what it's going to do, and it does! Chubby Lash creates bold, volumized and luscious lashes with just a few strokes of a really unique over-sized brush. And it does so without weighing them down. The formula is buildable too, so whether you want to apply just one or two coats or twelve, you can ret assured that you won't have any clumps or smudges. My lashes were big and bold, clump and smudge free all day long when I tested this mascara. I received Chubby Lash in Massive Midnight and I really liked how long and thick it made my lashes so I just ordered it in Jumbo Jet. There are five different shades of mascara in the line up to really open up the eyes: Jumbo Jet, Portly Plum, Two Ton Teal, Massive Midnight and Bodacious Black Honey, which is a Sephora exclusive. 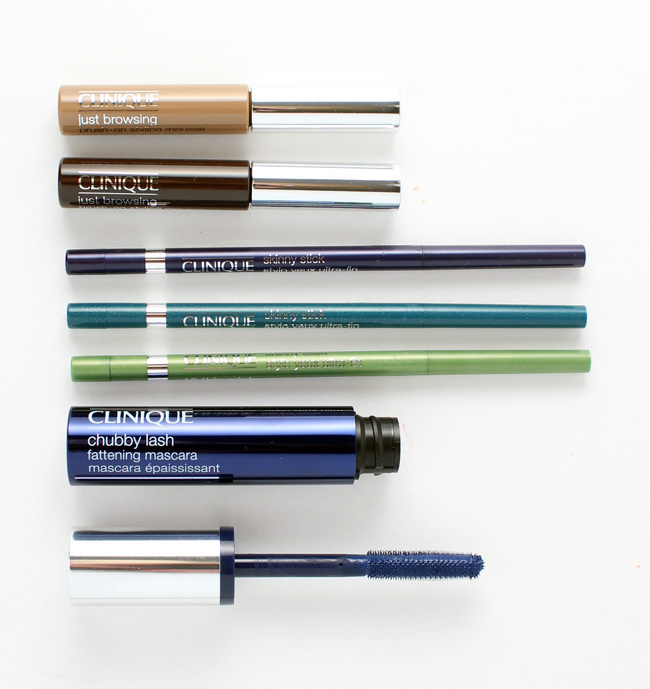 Buy each Chubby Lash for $17 at clinique.com and counters in Macy's, Nordstrom and Sephora.